Calling all the Billionaire's fans! 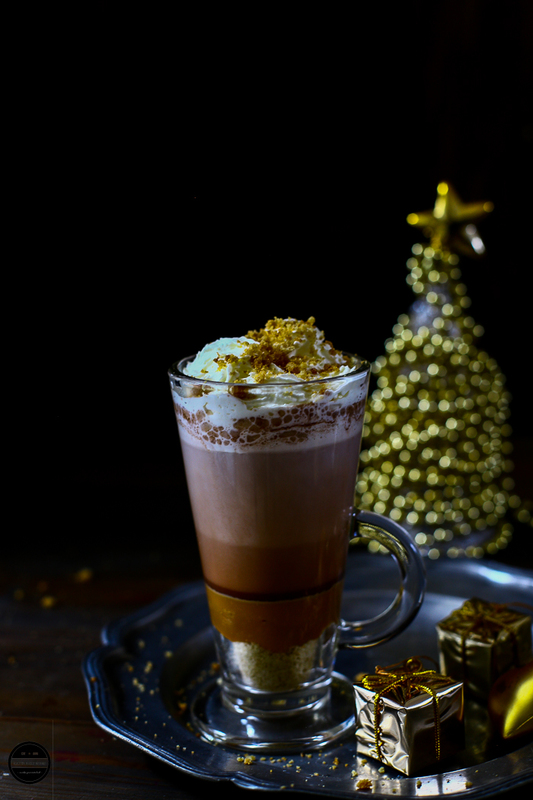 Tickle your taste buds with this Homemade Billionaire's Hot Chocolate and Latte, a luxurious drink with a super decadent recipe. It's like Christmas in a mug!! 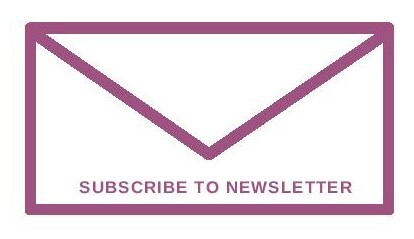 It's that magical, wonderful time of the year and time to add a touch of magic to your home. Time to immerse in the world of festive and time to decorate every nook and cranny with merriment. So hey guys, how's your prep going on and is your Christmas tree is up? According to the British tradition, Christmas tree should be up by the beginning of Advent, which was on Sunday 3rd of December. 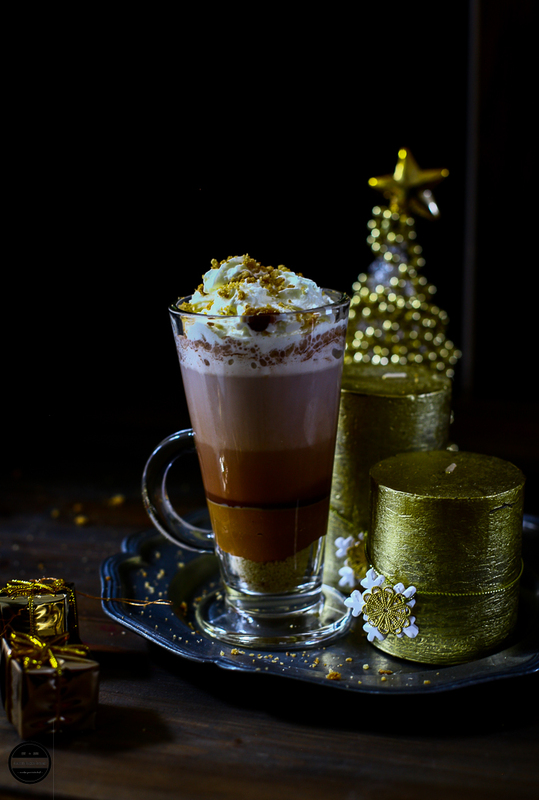 While boxes of Christmas tree and its decorations were brought out by the husband from the garage, I and daughter decide to make this so addictive Homemade Billionaire's hot chocolate and Latte to bring that Christmasy atmosphere in and around the house. The freezing weather outside and hot cocoa brings festivity in you. 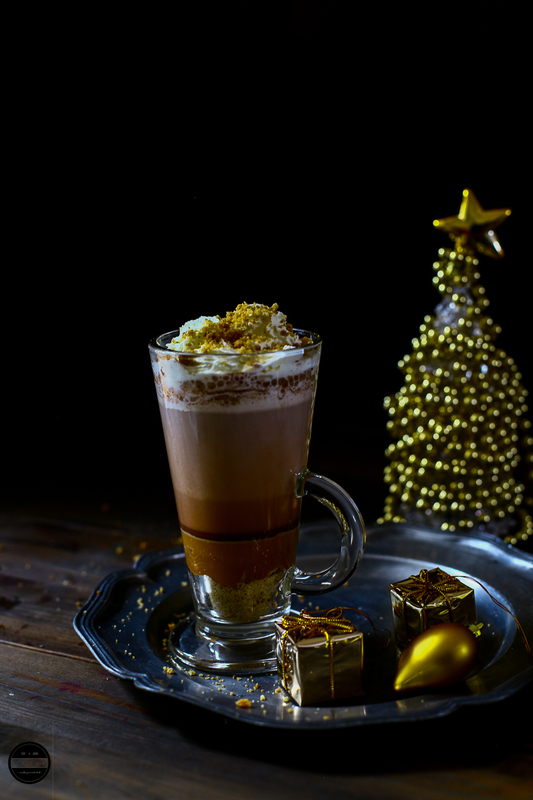 A few months back in the UK, a popular coffee chain Costa unveiled their Billionaire's shortbread flavoured hot chocolate and latte on their Christmas menu. These delicious drinks are made with a classic confection of gooey and chocolaty Billionaires Shortbread. A mug of Hot chocolate or Latte poured on three layers of buttery shortbread, Gooey caramel and a silky chocolate. All these yummy ingredients make this drinks extra special. 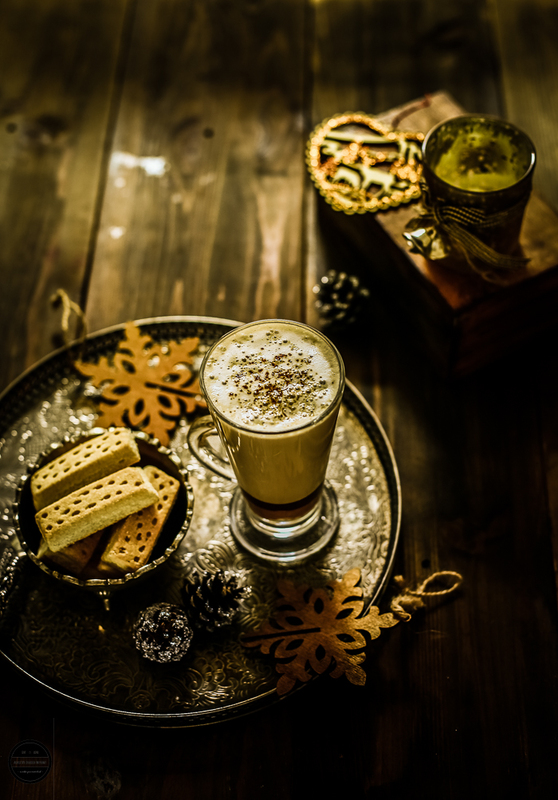 There is no doubt these winters warmer drinks are incredibly delicious and hard to resist. 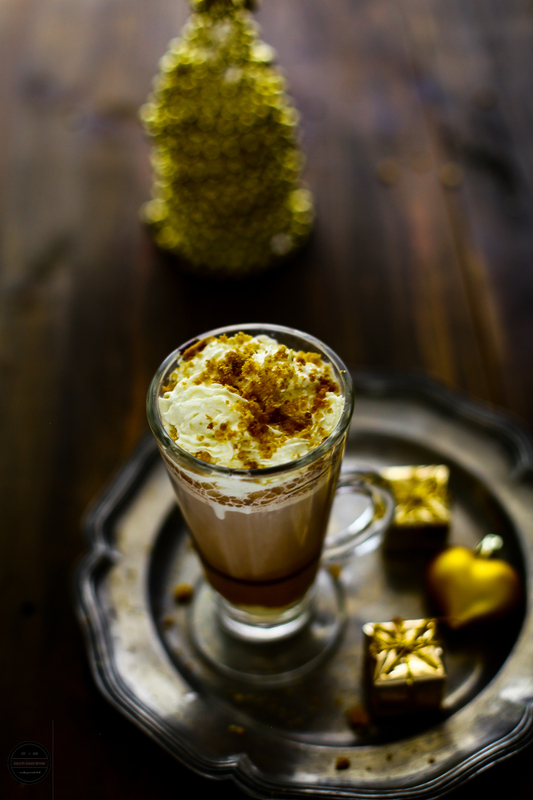 A special treat like, Billionaire's hot chocolate and Latte is fun to make at home with friends and family. 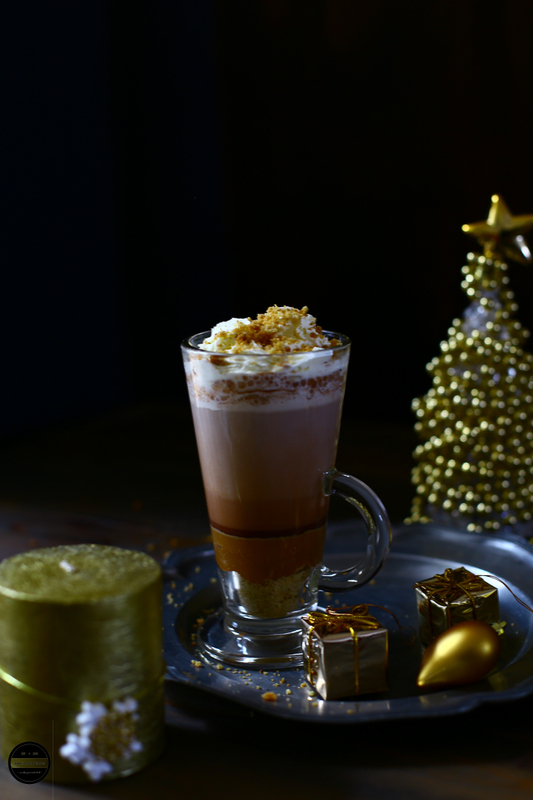 Rich and sumptuous Billionaire's makes this delectable sipper a special switch from traditional hot chocolate and latte. They can be whipped up in no time, topped with freshly whipped cream and shortbread crumbs and it doesn't get much better. Oh-so-delicious! Enjoy this intensely comforting warm mug of hot chocolate or latte on a cold snowy evening and curb your cold-weather cravings. I bet it will be the best part of your holiday season. My recipe shows you how easily you can duplicate the taste of famous brands at home in an inexpensive way. On this post, I am posting Homemade Billionaire's Hot Chocolate Recipe. For Homemade Billionaire's Latte please click here. Although I prepared Hot chocolate and Latte in my coffee machine, I am giving you recipe which can be made on stove or M/W. 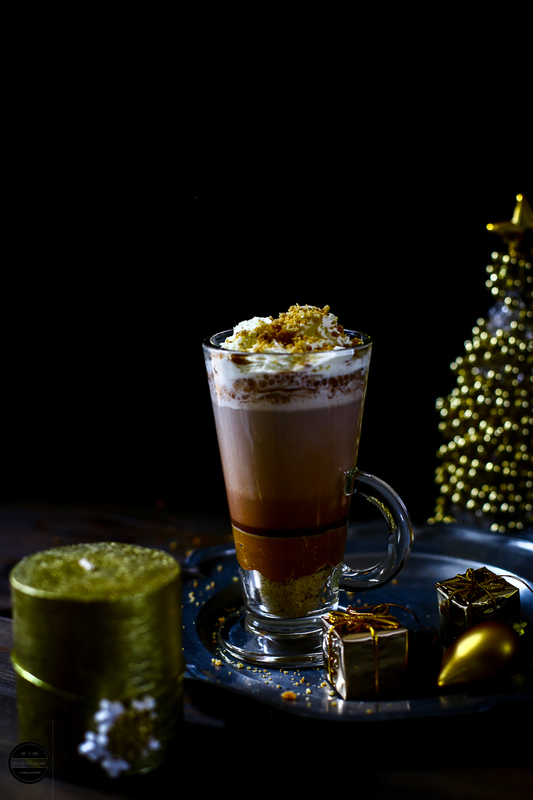 This homemade Billionaire's Hot Chocolate is so Christmasy! It's rich, creamy and so delicious, surely is going to warm up the cockles of your heart! In a clear serving mug first, add 2 Tbsp. shortbread crumbs and press it down with the spoon.On top of that pour caramel and let it sit for 5-10 minutes. Now heat the milk in a saucepan and bring it to boil.Add hot chocolate powder and mix it well.Once the hot chocolate milk is ready, pour over the set caramel. Quickly top with whipped cream and sprinkle shortbread crumbs.Serve immediately. Absolutely delicious, comforting and so decadent! Beautiful images! This is called the HEAVEN'S DRINK Jagruti, ready to do any sin to have this ;-( wow!! very new to me, and the name itself says the whole story. Thank you for this wonderful recipe. Will try to try this soon. This looks so sinful hot chocolate drink. I am just loving the pictures and scrolling up and down. It is perfect for post Christmas dinner sweet treat. This is so prefect for this weather. 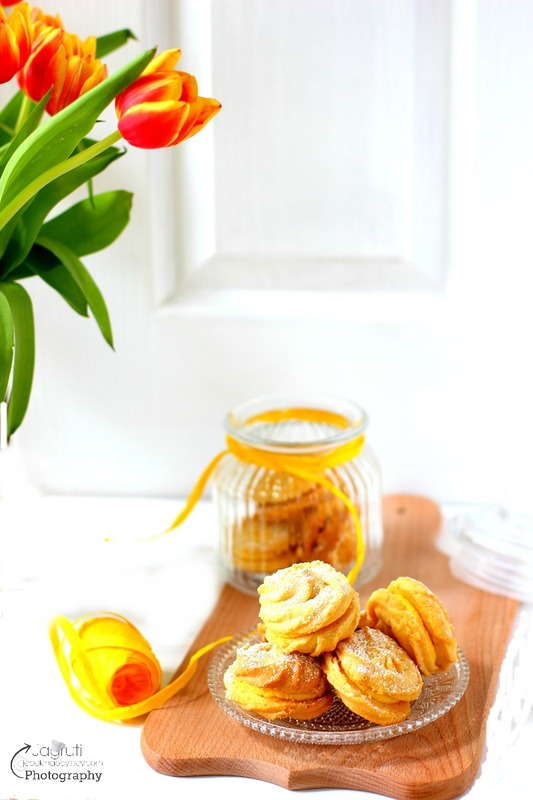 Fabulous recipe and beautiful pictures.